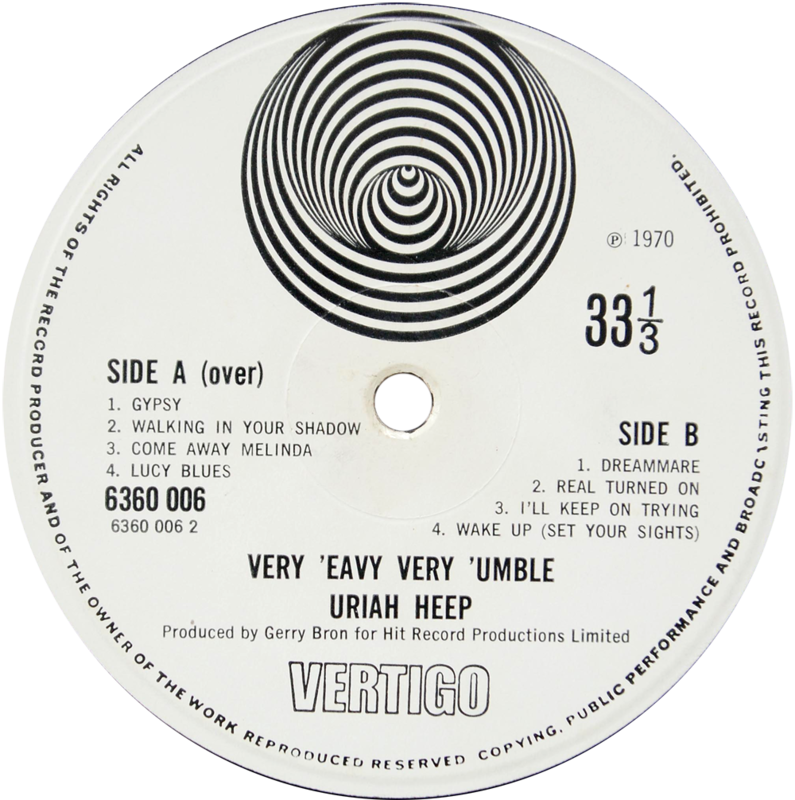 Note that the songwriting and publishing credits are on both the 2nd and 3rd label versions, so we must therefore conclude that the label without these credits is the very first issue. 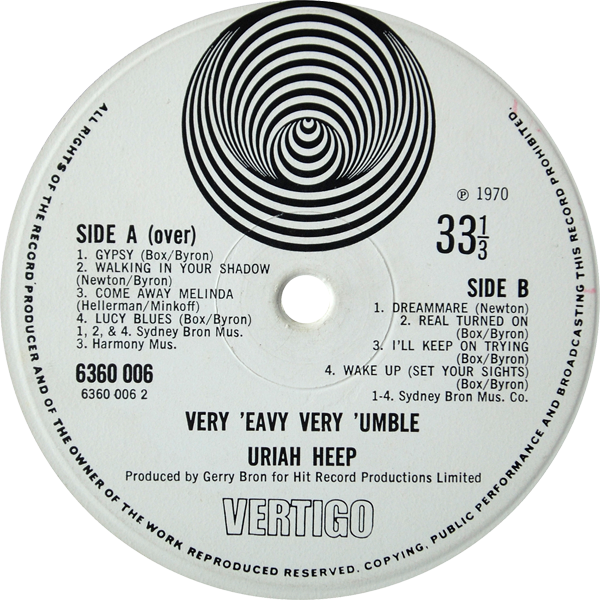 I have read or watched somewhere that Gerry Bron has taken the credit for Vertigo label as his idea..Can anyone back my observation up? Yes, true. Gerry Bron founded Vertigo along with Terry Reeves. Within a couple of years though (1971), Bron decided to form his own label: Bronze Records. 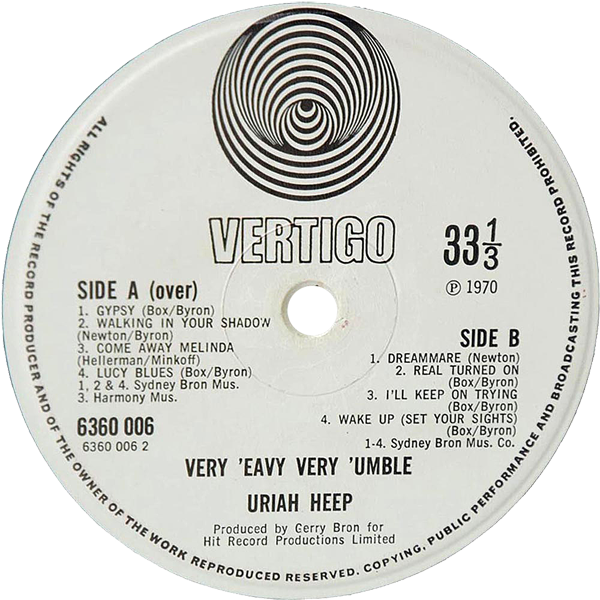 He even took some of Vertigo’s artists with him, most famously Uriah Heep, and some other Vertigo albums were reissued on the Bronze label, e.g. Colosseum’s ‘Valentyne Suite’. Bron died last year (June 19, 2012) aged 79.